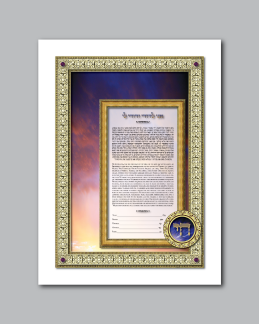 The outermost border of this simple, yet elegant ketubah emulates intricately carved stonework. 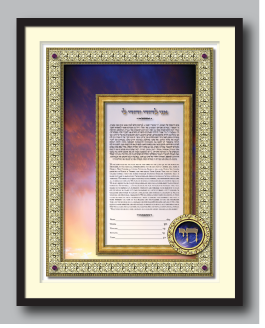 This exquisite frame surrounds a stunning and dramatic image of the sun rising at dawn, symbol of new beginnings. In the bottom corner is a round window displaying the Hebrew word “Chai”, meaning life. 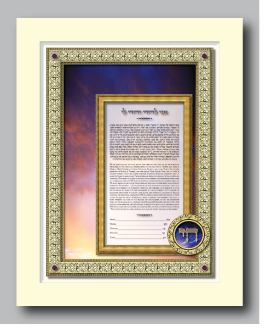 This is a blessing bestowed upon the bride and groom for a life of happiness and joy. 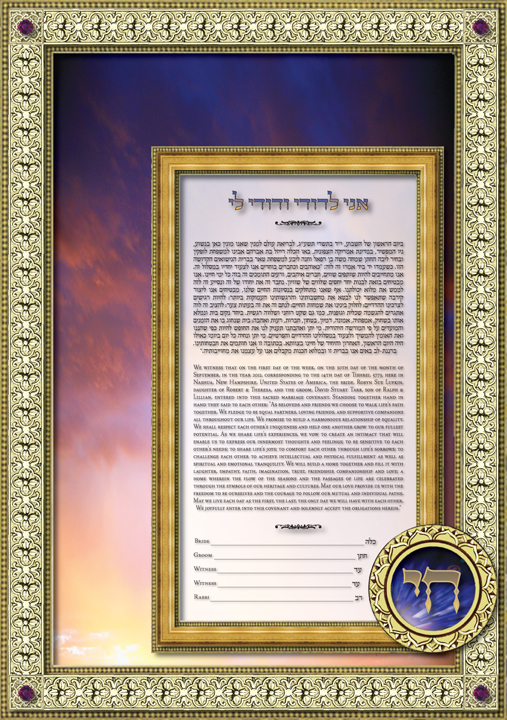 The unusual asymmetrical layout of this ketubah allows the viewer to experience the infinite colors and majesty of the breaking dawn.